♥ Ämo Love ♥: Alien Weapon Found On Mars? 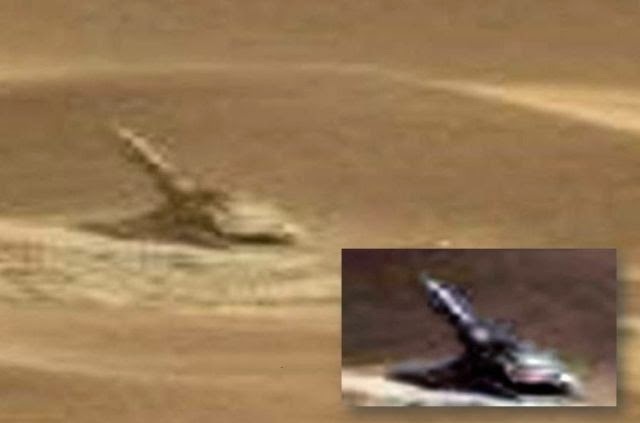 A photograph snapped by mars rover curiosity, appears to show a Martian weapon of some kind. The anomaly, which resembles an anti aircraft gun, clearly has a defined body and a large tube like object pointing toward the sky.